When we were approached by the client, they had in mind a beautiful pool that would give them hours of enjoyment, but which was as easy as possible to maintain, economical to run and would be easy to clean. We achieved all of that, creating a striking pool that fitted in well with the surrounding landscape and the main property building. Access was difficult on this site due to the existing building being very close to the boarder of the property. To overcome this we used a 1.5 ton excavator which allowed us just enough space to squeeze round the side of the house. We also had to abide by strict stipulations from the building regulators due to area of outstanding natural beauty. The pool is set within the property on a tiered garden design. The ceramic mosaic used is of very high quality which really reflects the beauty of this pool. 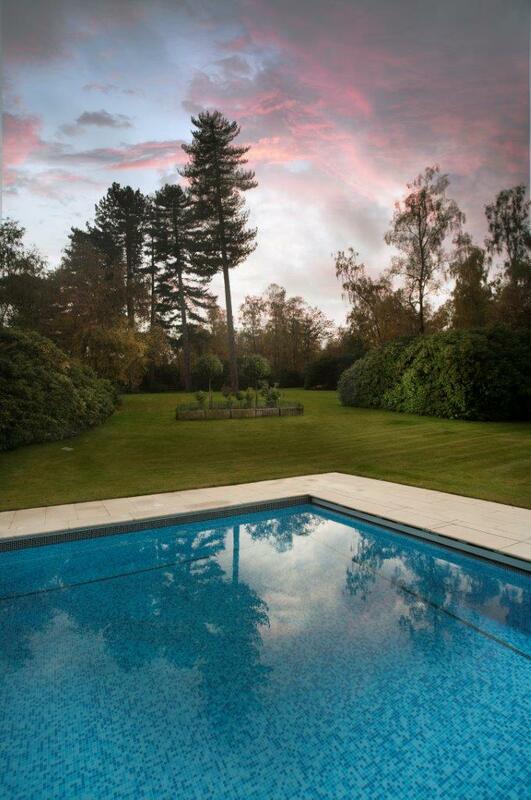 The pool sits within a beautifully tailored garden and sets off against the house perfectly.